From iconic paintings by Vincent van Gogh to their much-spat seeds at baseball games, the massive, golden blossoms of sunflowers have become a part of our literary and visual cultures and daily lives, inspiring artists and poets and used by advertisers to promote countless products. But sunflowers are only the most recognizable members of the world’s largest family of plants, Asteraceae, which includes lettuce, chrysanthemums, asters, dahlias, and weeds. 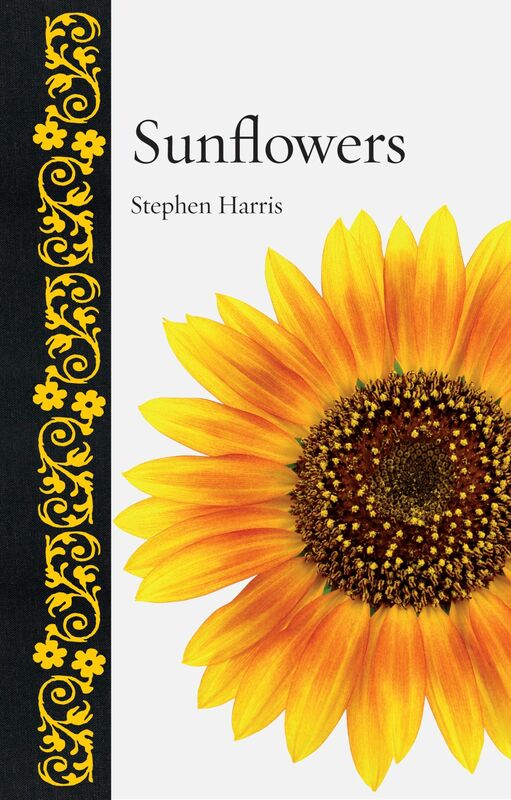 And in this book, Stephen A. Harris unearths the extraordinary history of this entire sunflower bouquet. "Asteraceae encompasses marigolds, chrysanthemums, daisies, lettuce, thistles, and dozens of other familiar plants. The book is a fascinating exploration of the family’s biology, ecology, and cultural significance. . . . Open the book at any page and you will discover something new, and often surprising, about the sunflower family." "With approximately 32,000 species it’s one of the biggest assemblages of flowering plants on the planet, and is therefore a family worthy of celebration. And celebrate that amazing family is what Harris does in this remarkable book. . . . A fine read, and an enjoyable one. . . . Sunflowers is certainly informative and educational." Gardens Illustrated, "Best Gardening Books of the Year"
"[Harris] has a lovely writing style that blends an authoritative understanding of his subject matter with a charming and accessible sense of prose. . . . Anyone interested in plants, in general, or one of the most specious families of flowering plants, in particular, will find this volume to be both entertaining and informative. After reading this book, you will never look at a head of lettuce again with the same attitude as you once had." "After an extensive biological background of the Asteraceae, the author complements the biology with much fascinating historical and cultural information on this plant group . . . Part of Reaktion Books’ ambitious Botanical series, which presents various plants from a natural and cultural history perspective, this fascinating and exhaustively researched volume is appropriate for college or advanced high school readers. It would be a valuable addition to a classroom library . . . Profusely illustrated with captivating photographs."